The more things change the more they stay the same. This long lived blog about desultory gardening and self sufficiency has been ambling on for over seven years now in much the same form. Here it is, the longest day again. Not terribly lovely weather, at least it's not raining or blowing a gale, but it's a bit disappointing on one of the days that is accepted as the start of summer. 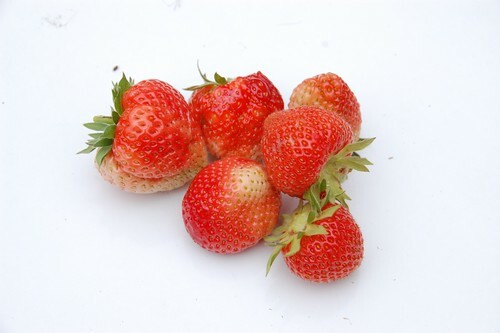 There was a handful of strawberries for breakfast. 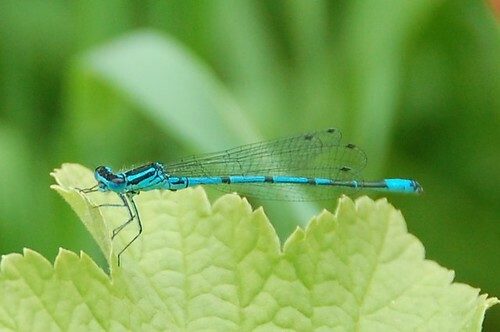 I think this is a male Common Blue damselfly. It seemed chilled or possibly dead when I took the photo. The weather really isn't very nice today. 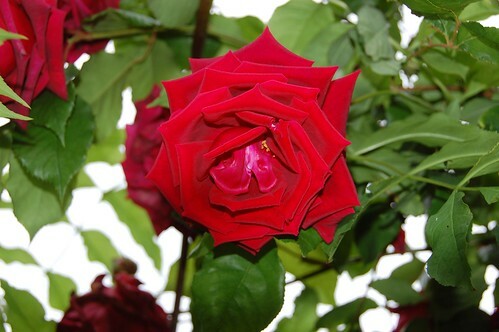 The rather glorious climbing red rose is in full bloom. It's not very well scented which is a pity because I've found a method for distilling rose water that I'd like to try. 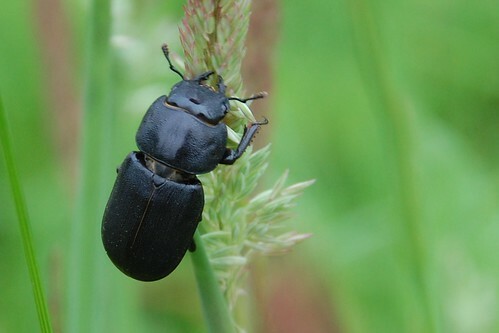 This fine beetle is probably not new to science but I didn't immediately recognise it. I wanted to take more photos to help with the identification but unfortunately dislodged it from the grass stalk and didn't want to disturb it further. That's possibly a dung beetle, but I'm not certain. One of the Scaraboidea anyway, but it's a huge superfamily.